Eaton Protection Box 8 TEL@+TV DIN - Available to order, buy it now! Eaton Protection Box 8 TEL@+TV DIN - High performance / low cost protection for EIGHT expensive or delicate equipment. The Eaton Protection Box multi-way block with high performance surge protection is a simple solution for protecting delicate equipment. The Protection Box is designed to filter the power supply for delicate equipment to protect it against surges, interference and the indirect effects of lightning. The high performance of the Protection Box is based on an advanced design with surge protection in compliance with IEC 61643-1. 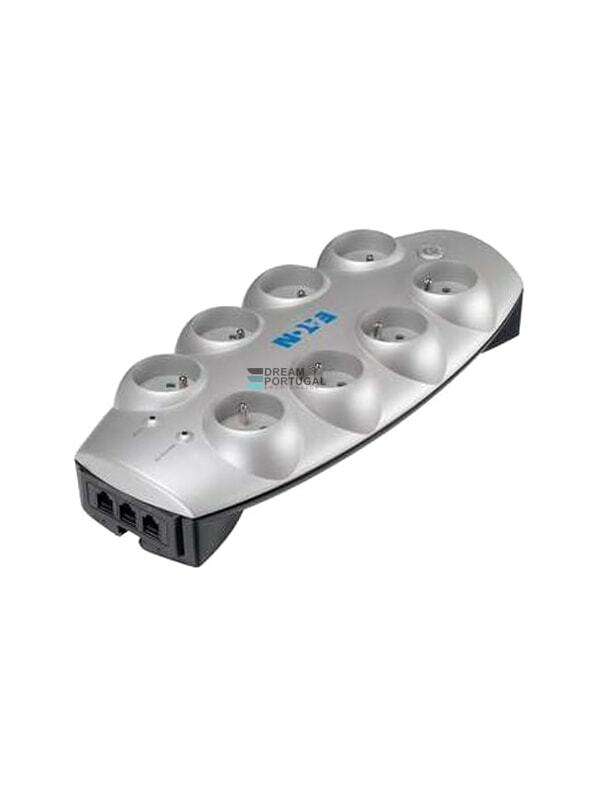 The Protection Box range has models with 1, 5 or 8 sockets. Some models also provide protection for telephone connections that can carry surges to the equipment.